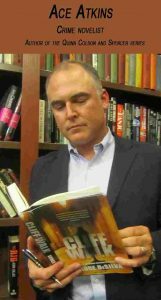 The author Ace Atkins is best known for the Robert Parker’ Spenser series which he continued after Robert B. Parker died, however, some he has also written a popular mystery series about Quinn Colson, an army ranger returning home from Afghanistan, who is now living in rural northeast Mississippi and is fighting corruption at home. He also wrote a shorter series about Nick Travers, an ex-football star, who is now a part-time detective in New Orleans, Louisiana. This series has only four books and a short novella. 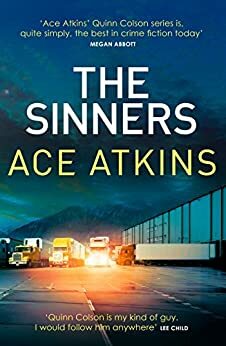 Here are the Ace Atkins books in order for his own solo series and for the books which he has continued the original Spenser series by Robert B. Parker. Here are only the Ace Atkins Spenser books in order for the novels this author has written. The books by Robert B. Parker are not included. Ace Atkins (website) was born in 1970 in Troy, Alabama. He discovered his love for books while attending the Auburn High School, where he always read everything but the material he should have read. He received a football scholarship for college where he majored in screenplay writing at the Auburn University. Already then he knew that he wanted to become an author, so he decided to start working as a journalist to learn the art and craft of writing. Between 1996 and 2001 he worked at the Tampa Tribune where he covered crimes as a staff reporter. During this time, he was nominated for a Pulitzer Prize. Also during this time, he wrote his first two novels, Crossroad Blues and Leavin’ Trunk Blues, both which became part of the Nick Travers series. Based on his extensive experience as a journalist at the Tampa Tribune, he wrote the novel White Shadow (which was his first standalone novel) focusing on the unsolved murder in 1955 of the crime boss Charlie Wall of Tampa. The criminal’s nickname was White Shadow, which the book title captured. The book starts with Wall’s murder as an old man. It was so popular that it earned raves from noted authors and critics. In addition to writing books, Ace Atkins is also still working as a reporter. For example, he covered for the magazine Outside the devastating Hurricane Katrina. In 2016 he also ventured into writing comic books based on his Nick Travers series. His books were was nominated for the Gumshoe Award in 2004 and the Barry Award in 2007. In 2011, the estate of Robert B. Parker chose Ace Atkins to continue the Robert B. Parker Spenser series, for which he now wrote seven books all in Parker’s known writing style. Little White Lies, published in 2017, starts with Connie Kelly who met the seemingly perfect guy, M. Brooks Welles, on an online dating site. In her naivete, she wrote him a check for close to$300,000 for him to invest on her behalf, and it came to no surprise to anyone when both the guy and her money was gone. This is when Spenser comes into play investigating the guy and realizing that everything about him, including the name, is fake. The trail leads him and his friend Hawk from Boston to the backroads of Georgia, where danger and treacherous deception awaits. The book is very loosely based on Wayne Simmons, an ex-FOX News pundit’s phony CIA claims that the author covered during his time as a journalist. 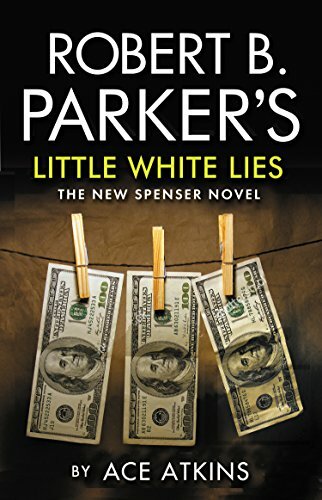 Little White Lies is the first Spenser book where the cop has to go against a con man of this type. 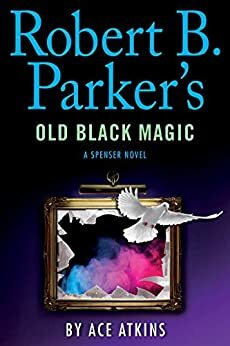 A new Ace Atkins Spenser book is published in 2018 with the title Old Black Magic. The Ace Atkins Quinn Colson series is in development for a major television series. The Ranger is optioned for film by director/producer Jeremiah Chechik, for which the author is now polishing up the script. Currently, the author lives on a historic farm outside Oxford, Mississippi, with his wife and young son. In an interview, he mentioned that the reason why he moved from Alabama to Mississippi was that his books are all set in Mississippi, and he loves the rich culture of the state. When not writing books, the author also teaches Journalism at the University of Mississippi. He is no longer working as a reporter, however, when a story is too good to pass up, he does write a story every now and then for the Outside magazine.